Application Closing Date : 02-06-2018. 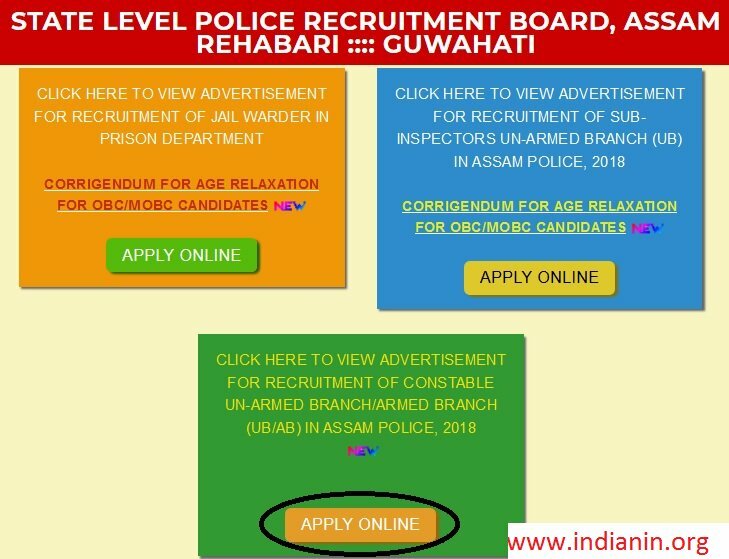 Recruitment will be conducted in the districts of Assam for filling up of 1851vacant posts of Constable of Unarmed Branch of District Executive Force and 3643 posts of constables of Armed Branch. Applications submitted or received after the last date will not be entertained. There Will Be No Application Fee. a) Nationality : Candidates must be Indian citizens, ordinarily resident of Assam. (iii) Additional relaxation of 3 (three) years in respect of trained Home Guards/members of VDPs (registered) who have served for a period of 3(three) years or more. i) Un-Armed Branch : H.S. or Class XII passed from a recognized Board or Council. ii) Armed Branch : H.S.L.C or Class-X passed from a recognized Board. Candidates having educational qualification Higher Secondary and above may also apply for both. Candidates must not have knocked knee, flat foot or squint eyed, and they should not be colour blind. They must be in good mental and bodily health. ** There will be reservation for ST (P) 10%, ST(H) 5%, SC 7%, & OBC/MOBC 27%. ** Thirty percent (30%) of the vacancies will be (horizontal) reserved for women candidates in Unarmed Branch of DEF. 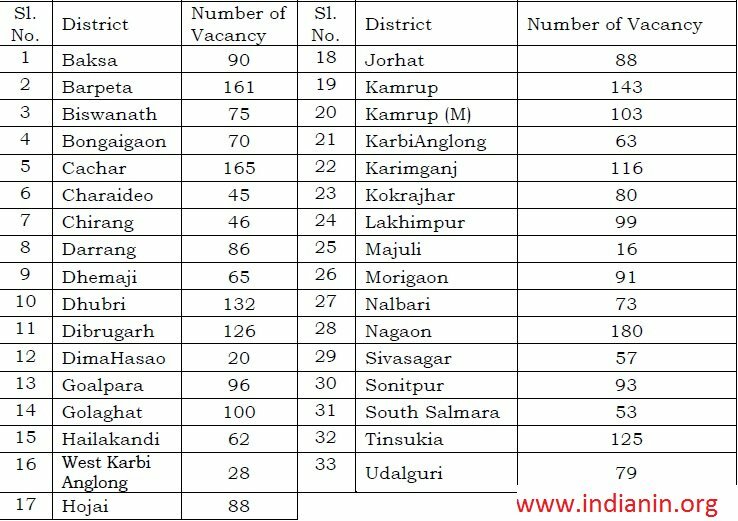 ** Ten percent (10%) of the vacancies will be (horizontal) reserved for women candidates in Armed Branch. 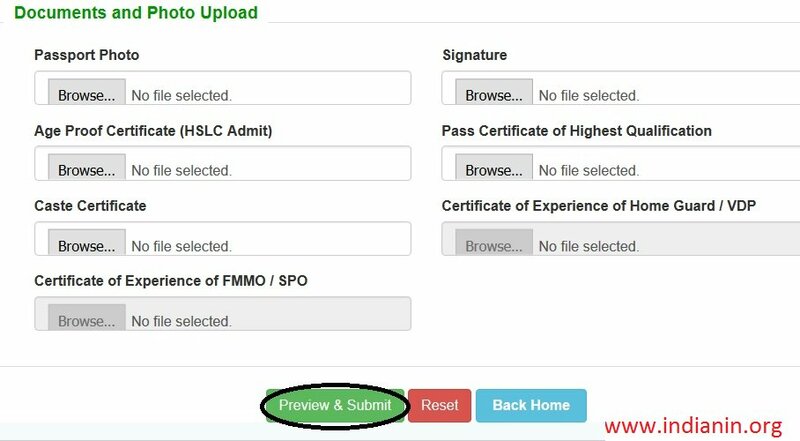 Just follow the below procedure to apply for online. Step 2 : Then click the Recruitment link in the right corner of the home page. Step 3 : After that, click the ‘Online Application’ link under the ‘Advertisement Notice’ section. Step 5 : Enter your Mobile Number and Click Send OTP button. Step 6 : Enter the OTP number to verify your Mobile number and click Submit button. 8. 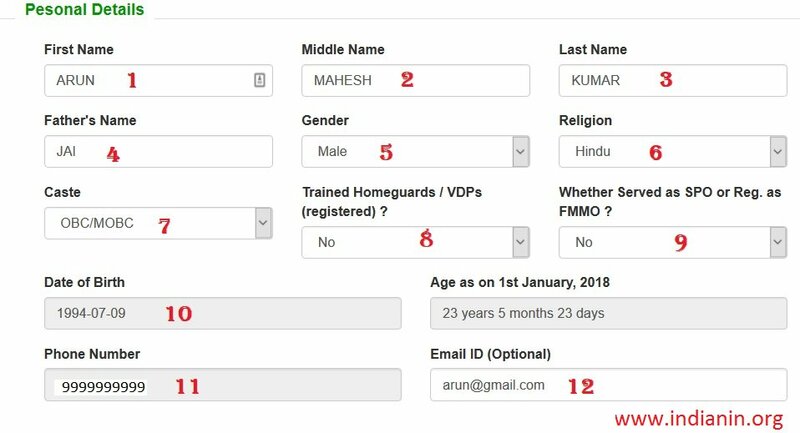 Select Trained Homeguards / VDPs (registered) ? 9. Select Whether Served as SPO or Reg. as FMMO ? 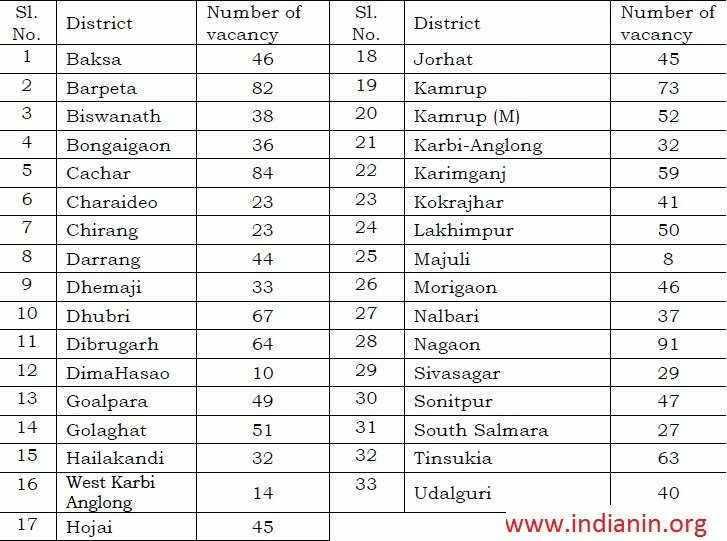 All Candidates will have to appear for their PST/PET & Written Test only from the district under which their permanent Residential address falls. After the documents are found correct, the candidates will have to appear in the PST (Physical Standard Test). It will carry no marks. Measurement of the height, weight & chest (only males) of the candidates will be done. Once a candidate clears the PST he/she will have to appear in the PET (Physical Efficiency Test). a) Race – Those who qualify in the PST will be subjected to 3.2 km race to be completed within 14 minutes (840 seconds). a) Race – Those who qualify in the PST will be subjected to 1600mtrs. race to be completed within 08 minutes. a) Written test will consist of 100multiple choice type questions to be answered on an OMR answer sheet. For each correct answer the candidate will get half a mark. b) Total marks for the Written Test will be 50. There will be no negative marking. Note : Extra-Curricular Activities and Special Skills Max marks 10.